All pregnant women who go into labour too soon should be given antibiotics to protect their baby from a potentially deadly infection called Group B Strep (GBS), say new guidelines. Hundreds of newborn babies a year in the UK catch it. With prompt treatment, most can make a full recovery. Currently, two in every 20 infected babies develops a disability and one in every 20 dies. The Royal College of Obstetricians and Gynaecologists wants to change this. It says any woman who goes into labour before 37 weeks should be offered antibiotics as a precaution, even if her waters have not broken and the protective amniotic sac surrounding the baby in the womb is still intact. Group B Strep bacteria can live harmlessly in the lower vaginal tract – about one in four women has it – and it can be passed on to the baby during delivery. Most women will not realise they are a carrier. The updated guidelines from the RCOG say pregnant women should be given information about the condition to raise awareness. They also say women who have tested positive for GBS in a previous pregnancy can be tested at 35 to 37 weeks in subsequent pregnancies to see if they also need antibiotics in labour. But they do not go as far as recommending routine screening of mothers-to-be. The RCOG says there is no clear evidence that this would be beneficial, as previously stated by the government’s National Screening Committee but campaigners disagree. Group B Strep Support would like every pregnant woman to be offered the opportunity to be tested for the bacteria. 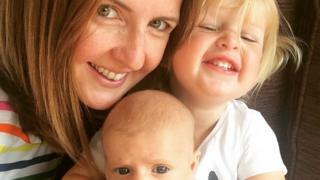 Rebecca Gunn, 32 and from Wakefield, had GBS during her second pregnancy. “I had gone in to hospital after experiencing some bleeding at 17 weeks, and that is when they picked up that I was a GBS carrier. Rebecca went into labour at 38 weeks and was given intravenous antibiotics after her waters broke. 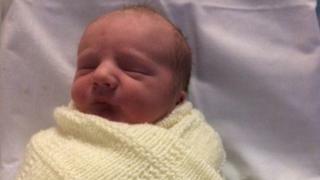 She gave birth to her son, Alistair, who was fortunately unaffected by GBS. “I knew nothing about GBS. I’m not saying this to scare people, but it’s important they are informed and aware of the risks,” she said.